Mixed Voices, a vocal ensemble from Geretsried, Germany, will visit New Delhi in November 2016. In collaboration with Delhi’s most well-known choir, The Capital City Minstrels, this Bavarian choir will perform in the capital at the India International Centre and the German Embassy on November 2nd and 3rd, 2016. When Delhi choir, The Capital City Minstrels (CCM), toured Europe in June 2015, they were hosted by and performed with several choirs along their journey. Their conductor at the time, Carolin Remy, organized for the group to perform with the Mixed Voices, the choir she used to sing with in Geretsried, a city close to Munich. 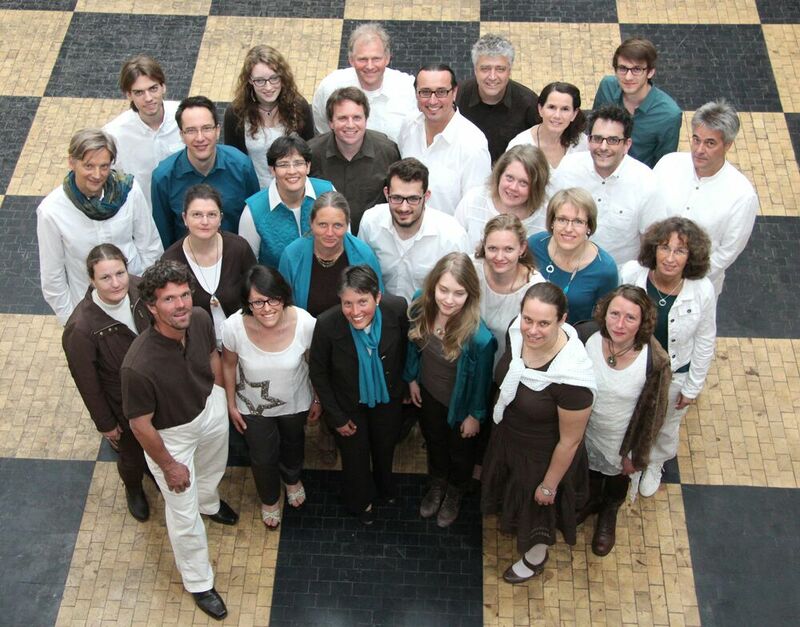 CCM were warmly hosted by this versatile vocal group and performed 2 concerts in South Germany. An opportunity for further collaboration between the two choirs was presented through CCM’s invitation to the Mixed Voices to perform in India. In this return concert, a group of 34 singers led by their conductor – Roland Hammerschmied, will be in Delhi to perform a mixed repertoire of pop and traditional music in English and German. On Wednesday, November 2, the group will perform at the India International Centre, giving Delhi NCR music lovers a chance to hear them sing along with The Capital City Minstrels. The two choirs will perform for a private audience on Thursday, November 3 at the German Embassy. Mixed Voices, the 34 member choir from Gerestried in Bavaria, South Germany was formed in 1992 under the baton of Roland Hammerschmied. They are known and renowned in Germany and Italy for their repertoire of pop, gospel, spiritual and classical music. This is their first intercontinental trip. Mixed Voices will be singing a mixed repertoire of music in German and English. Pop and rock songs like Coldplay’s “Viva La Vida” and Eagle Eye Cherry’s “Save Tonight”; the traditional and well known Scottish “Loch Lomond”; Oliver Gies’ “Parkplatzregen” and Rammstein’s “Engel” feature on their list. They will also be joined in concert by CCM to perform the devotional “Raghupati Raghav Raja Ram”, Eurythmics’ “Sweet Dreams”, and a traditional Bavarian song “Zottelmarsch”.